Thanks. And trust me, nobody is looking more forward to that mech than me. : Good work, Ensign Uraki. : What are we going to do with the GP02, sir...? : After dismantling it, we'll keep it securely sealed away on the Argama, of course. 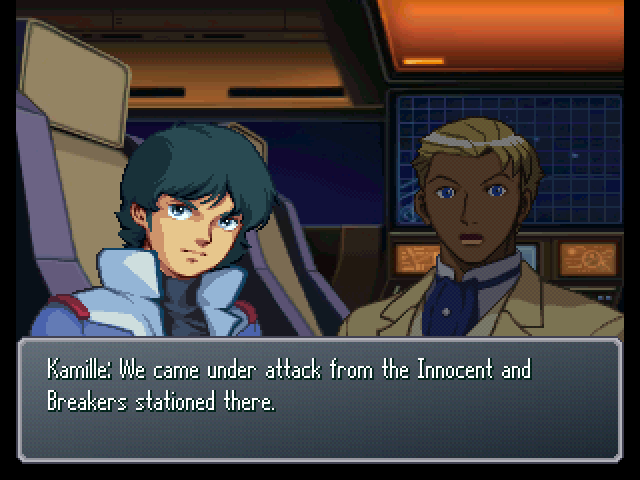 : Kamille, how's the Freeden's removal work coming along? 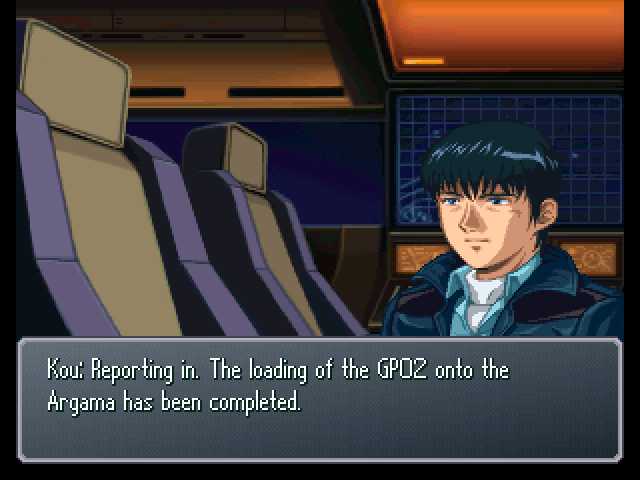 : Duo, Garrod, and others are working on it as we speak. : I hear Masaki, Mio, and their group also joined up with the Freeden. : Sir Gwen, is that mechanical doll really that dangerous? : What's dangerous is the bomb it's armed with. According to Laura, it apparently sears the land and generates a powerful poison which contaminates the land for centuries. : No... Think of it as a cursed relic of the Black History. : Judging from the battle situation, the Moon Race's military seems to be split into two major factions. : The Diana Counter, under Diana Sorrel's direct command, and that unaffiliated group, right? : They must have been the ones who attacked us before. : Ghingnham is the name of the family which historically heads the Moon Race's military. They have a private fleet in lunar orbit, and they've trained continuously over thousands of years to deal with external threats. : Trained over thousands of years...!? : And, what external threats? : It is said that the Ghingnham Fleet was originally formed in order to deal with extraterrestrial invaders. : Of course, now they take the Innocent to be that external threat. : So the Diana Counter is an army reporting directly to Queen Diana, and the Ghingnham Fleet is the moon's regular army? : By the way, Sir Jamil. What was the situation at the Innocent base in Fort Severn? : As we were informed, they were gathering Breakers as anti-Moon Race forces. : Then, I take it negotiations with them went smoothly? : The Innocent attacked you...!? 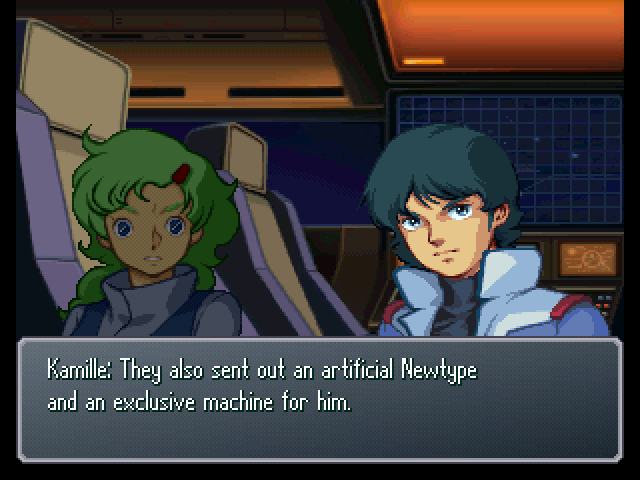 : An artificial Newtype... Something similar to a Cyber Newtype...? : And apparently, Rosamy was also at their Newtype research facility. 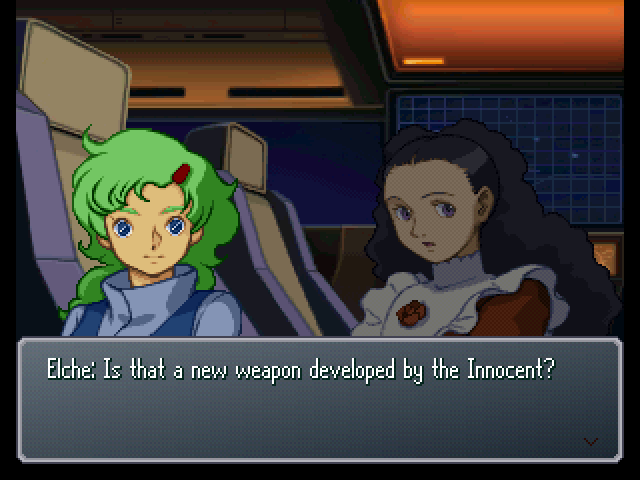 : That woman claiming to be your younger sister, Kamille? : B-but... Our firepower should have been valuable to the Innocent! : The Innocent probably view us as dangerous and want us dead along with the Moon Race. : But, I don't understand the reasoning here. Why would we be targetted by the Innocent when we're also fighting the Moon Race? : Besides, the Gallian Innocent are cultured people who hate fighting. How could they start a fight themselves...? : M-my goodness... I've definitely felt like something was out of place this whole time... But, why would you be in a place like this... Lady Diana? : Ohh... Lady Diana, whom I respect and admire so much, and Lady Kihel... How... How could I have not been able to tell the two of you apart...! : Loran Cehack. Your dear Kihel Heim is in a very distressful situation right now. : So Miss Kihel really is on the Soleil? : That is correct. She has been forced to act in my stead... Given the rapid deterioration of the situation over the past several days, we cannot afford to continue like this any longer. : If the fighting continues, it will only bring misfortune to both the Earth and the moon. For the sake of our people, split apart, and for the sake of this beautiful land and shining moon... Loran Cehack, please, lend me your strength. : Do... Do I even have strength...? : As I am right now... You are the only one upon whom I can rely. : I understand. I'll keep quiet about this... Until you choose to reveal the truth about yourself. : (.........) ...Nowhere in particular. : Liar. You're hiding something, aren't you? : Heh, because I've been around you a long time... You know, I hear that Kihel lady looks an awful lot like the queen of the moon, Diana. : On top of that, I hear Kihel spent some time in the Diana Counter's flagship. : (.........) Even if you're wrong about that, don't discuss it with anyone else. 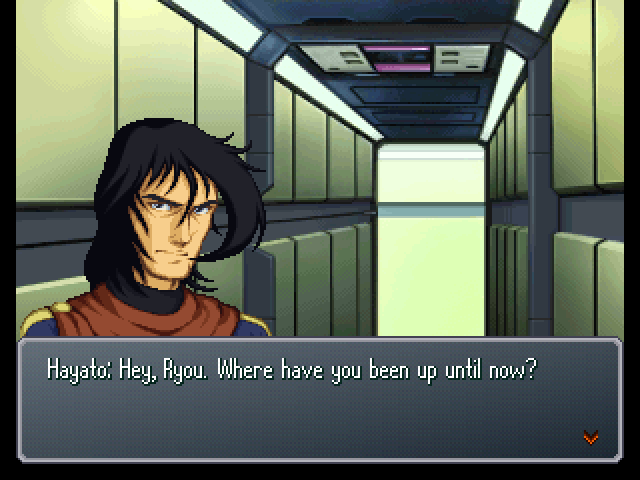 : ...Alright, fine, Ryou. I can't disobey the leader, I guess. 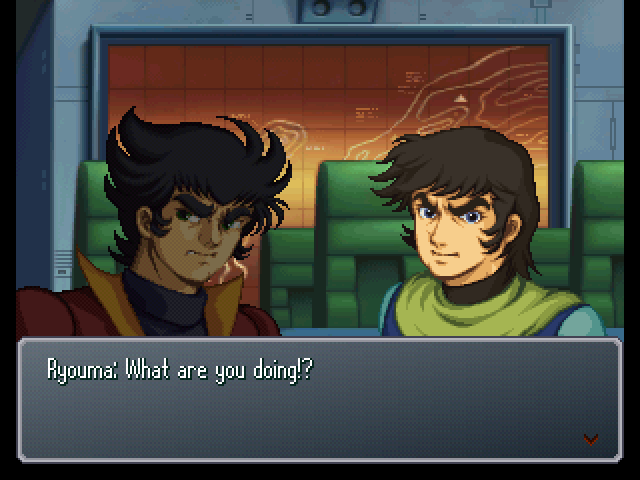 : Tetsuya and Kenichi have gotten into a fight! : Ryou, this is your area of specialty. I'll sit this one out. : Ah, right... Got it. : (.........) ...Because we thought investigation should come first. : That's not true. It was Lt. Burning's decision to...! : So naive. 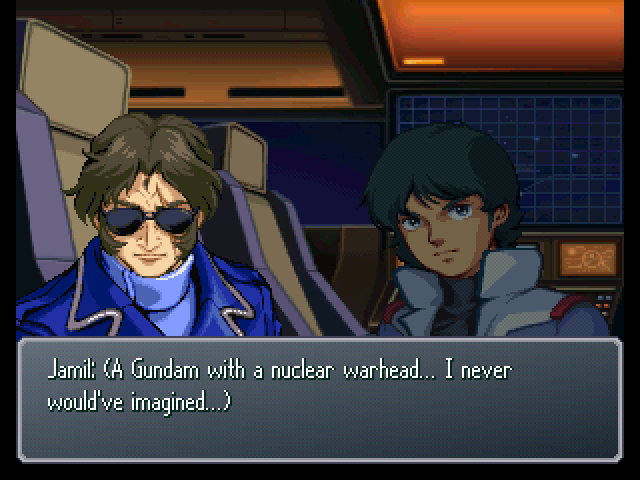 What were you planning on doing if you got hit by the GP02's nuke? 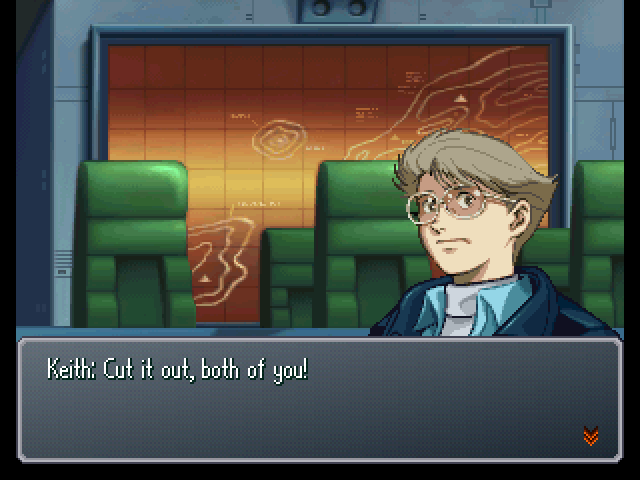 : Cut it out, Tetsuya! It's not Kenichi's fault! : You should all think that over. : What was his problem...!? : Kenichi... Don't worry about what he said. 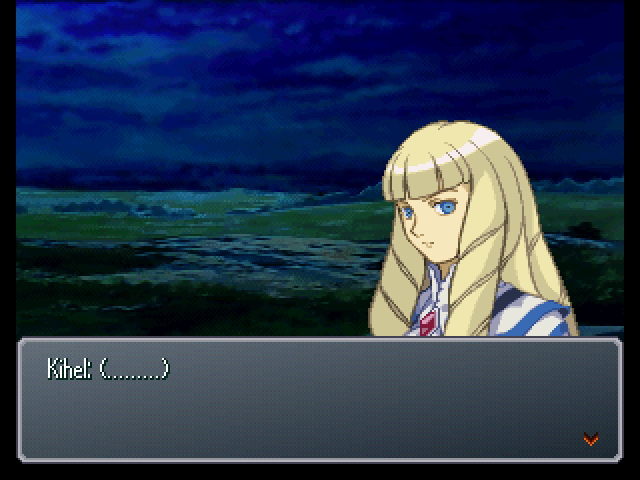 : ...No, what Tetsuya said wasn't wrong. Nor was Lt. Burning's judgement. : We know all too well how fearsome that Gundam is. I should have done something, since I was the one who discovered it. : But he didn't have to be so harsh about it. 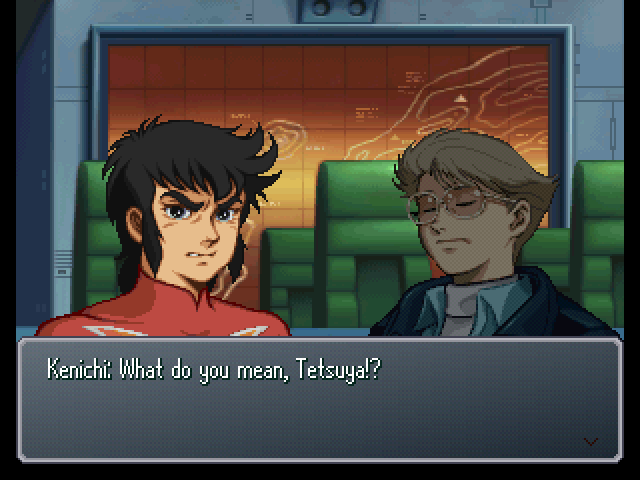 : (.........) Kouji, did something happen with Tetsuya? Needless to say, if you fail to stop the GP02 from getting stolen then the above conversations become different. 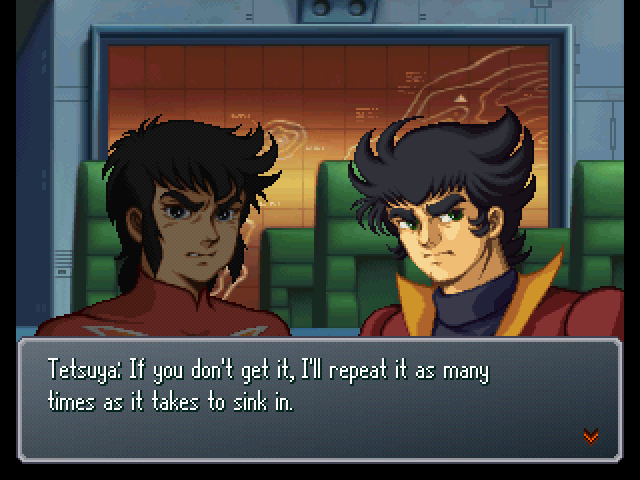 Here is the different text from Tetsuya and Kenichi's fight. : Kouji... They should have focused on guarding the GP02 from theft. If Kenichi had bothered using his head, that is. : Kenichi's obviously the one at fault here. It'd be too late once a nuke went off. 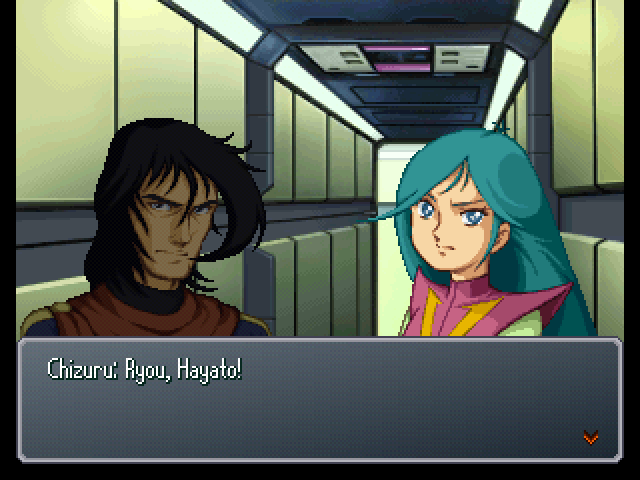 : Tetsuya, that's enough, knock it off! : This is exactly how it went in Operation Stardust during the Balmar War! What'll you do next time you see the GP02, just hope for the best and pray we can stop it? I'm not sure what the far reaching consequences would have been if I hadn't stopped it. In any case, next time I start on finishing the Fort Severn route.